This casserole takes just 30 minutes to make and is the perfect dinner for busy nights. I was looking at the trending topics on Facebook the other day and I was surprised to see the first day of school was one of them. I can’t believe it’s already that time again and some kids have already started! I’m excited for our first back to school season with my oldest but also a little scared. I know when I leave him for the first time I will be a big, teary mess. Not to mention his baby sister will be joining us in less than a month too so I’ve been prepping lots of easy lunches and dinners to make sure everyone has a full tummy and I don’t have to spend a lot of time in the kitchen (or sitting in the drive thru line). 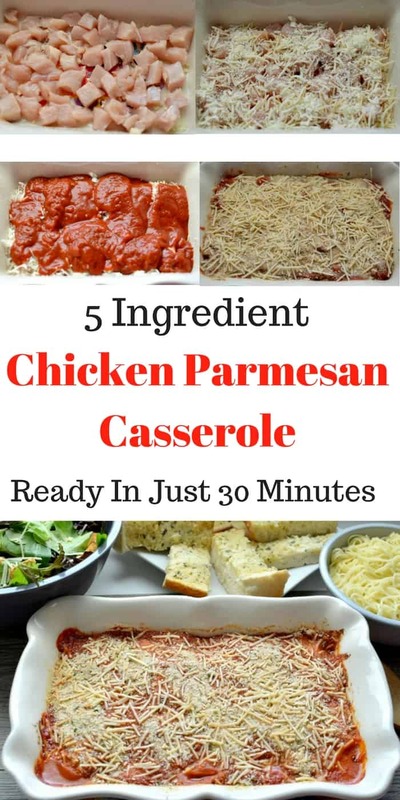 When I was thinking of quick and easy meals for dinner this Chicken Parmesan Casserole came to mind. It was one of the first meals I cooked when we got married and we had it almost every week. I don’t know why I stopped making it; it’s super easy to throw together, tastes delicious and is made in just 30 minutes. You can cut down the cook time even more by pre-cooking the chicken and freezing it (I’m planning a marathon freezer meal session next weekend, stay tuned for all the details). 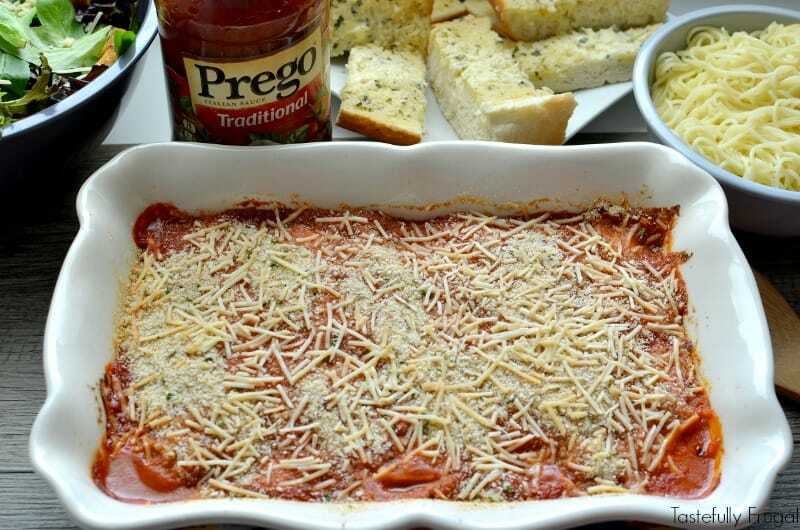 This casserole doesn’t have a ton of ingredients, it’s perfect for little hands or husbands to help with, and the key ingredient is a good Italian sauce that adds rich flavor on it’s own. My favorite is the Traditional Prego Pasta Sauce. It’s a great mix of sweet and savory spices and flavors and is nice and thick so it fills up the whole family. 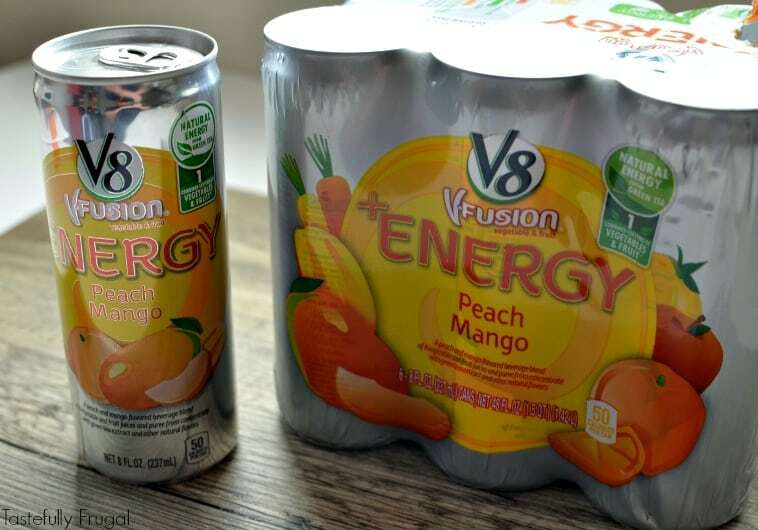 While I was at Walmart picking up our groceries I also saw these new V8 + Energy drinks. As you moms know by the time dinner rolls around it’s about all we can do to not fall asleep on the couch and these drinks are a great little pick me up. They only have 50 calories per serving and get their energy from green tea. Plus they taste delicious! My favorite is definitely the Peach Mango but the Pomegranate Blueberry is a close second. 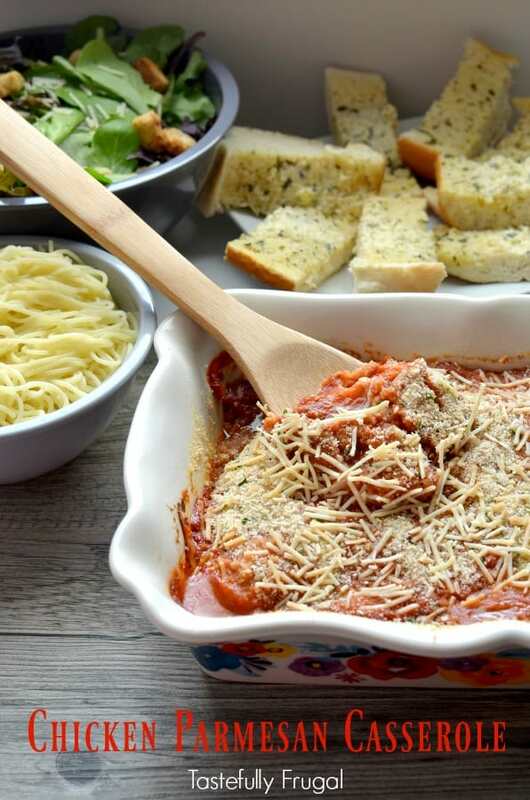 I love serving this casserole over angel hair pasta (you can use spaghetti too) and with garlic bread and a salad. It’s a good meal to get all the food groups in and it’s so easy to make. Half way through cooking the casserole add the garlic bread to the oven and you’re set. Spray a 9x13 cooking dish with cooking spray and spread garlic along bottom. Layer 1/2 the chicken on top of garlic. Sprinkle 1/2 cup mozzarella cheese and 1/4 cup parmesan cheese on top of chicken. 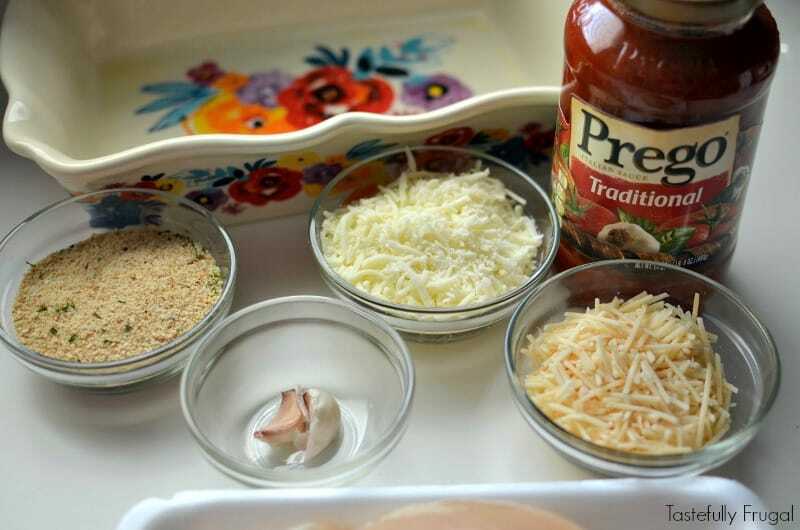 Pour 1/2 jar of Prego sauce on top of cheese. Layer the rest of chicken on top of sauce. Sprinkle remaining mozzarella cheese and 1/4 cup parmesan cheese on top of chicken. Cover with remaining Prego sauce. Top with breadcrumbs and sprinkle remaining parmesan cheese on top. You can used pre-cooked chicken and cut down your cook time by 5 minutes. What is your go-to dinner for busy nights? 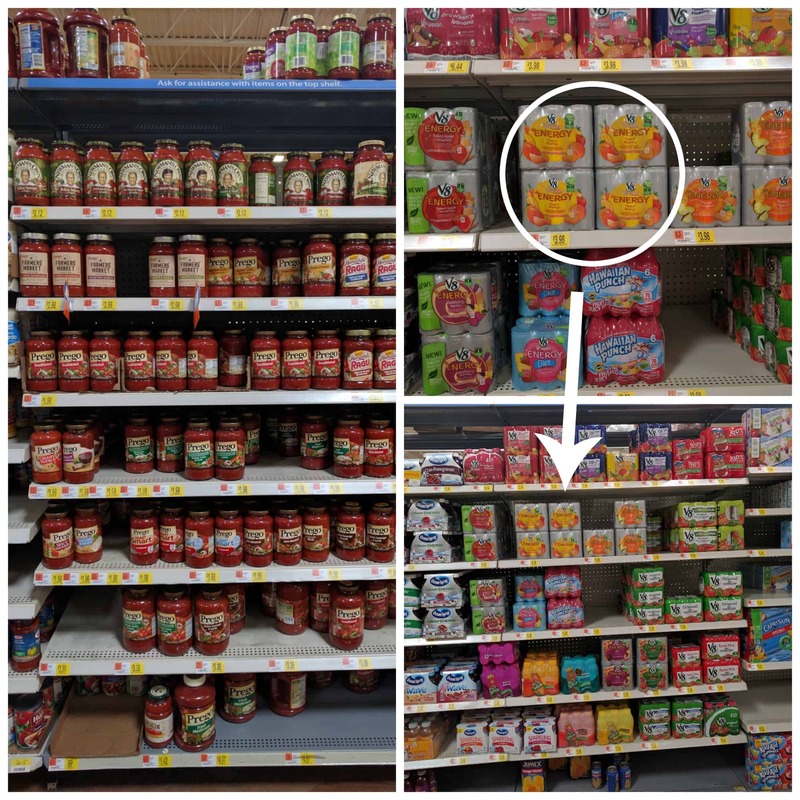 I need to add some new ones to my arsenal before school starts!For more easy back to school meal ideas and tips click here. And don’t forget to print your Prego and V8 + Energy coupons to take on your next shopping trip! Hello what degree did you turn on the oven? Hi Tiffany! You’ll cook at 350F for 30 minutes.